Manchester City boss, Pep Guardiola, is set to hold talks with senior officials at the club, over extending his stay at the Etihad. The 46-year-old is currently on £15m-a-year but can expect to see the figure rise to as much as £20m — almost £400,000 a week — under the terms of the new deal, which will cement his status as the highest-paid boss in the sport. 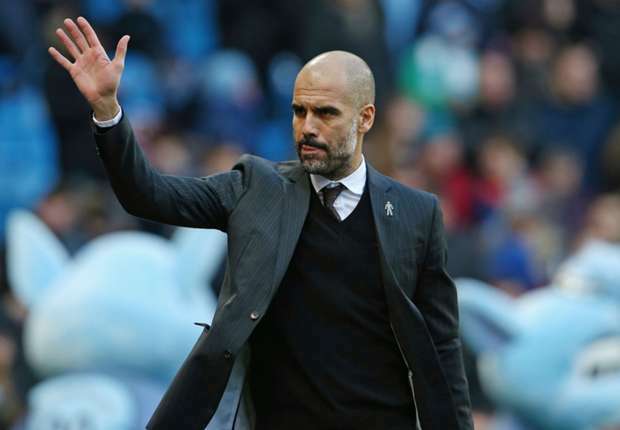 Guardiola signed a three-year deal when he moved to England last year after his stint at Bayern Munich. Chairman Khaldoun Al Mubarak and CEO Ferran Sorriano traditionally hold an end-of-season review into all workings at City and top of next May’s agenda is convincing the Spaniard to sign a new deal. Reports in the British media say the Premier League leaders are confident everything is in place to persuade him to remain and establish a dynasty to rival that of Sir Alex Ferguson’s at Manchester United. City’s hierarchy are impressed with Guardiola’s work, which has seen the team currently on a record-breaking 16-game winning run has included 56 goals and eight clean sheets. That has left City 11 points clear at the top of the Premier League, with an incredible +44 goal difference after just 18 games. Guardiola finished third in his first season behind Chelsea and Tottenham Hotspur.